Lots of Australian biotech companies have to head overseas to manufacture their potentially life-saving drugs for clinical trials in Australia. Unfortunately, the associated high costs and long waiting lists for overseas manufacturing prevents many smaller Aussie companies from taking their new therapies beyond the laboratory. It’s not a great situation for those companies to be in, and it’s a downright bad situation for potential consumers who could have benefited from their therapies. But this is all about to change: soon these smaller companies will be able to manufacture their treatments right here in Australia thanks to a state of the art, early-stage biologics manufacturing facility that is being built at one of our Victorian sites. The facility will be designed to aid these companies to manufacture their drugs in amounts suitable for Phase 1 and Phase 2 clinical trials. 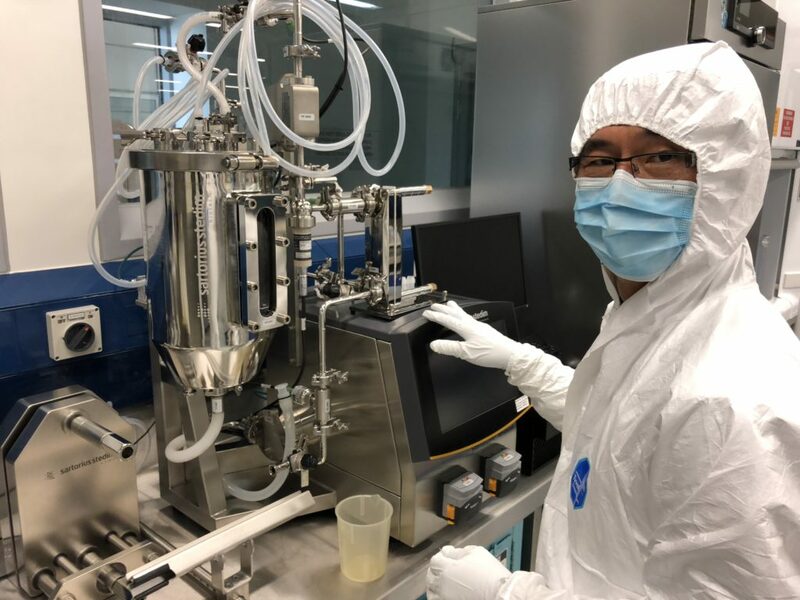 The new Advanced Biotechnology Manufacturing Platform will be built and operated at the highest industry standard, allowing for end-to-end biopharmaceutical production. Biotechnology, also known as the life sciences, covers various disciplines concerned with the study of living organisms, including microorganisms, plants, animals and human beings. The industry develops therapeutics and pharmaceuticals, medical technology (including devices and diagnostics) and seeks to treat diseases such as cancer, hepatitis C and HIV/AIDS. Around 1,000 new clinical trials start in Australia every year and soon we will be able to help these Aussie companies develop their home grown biological products such as vaccines, antibodies, growth factors and stem cells for testing in human clinical trials. This means the time from lab to market is shortened and the cost of drugs will be reduced while still having an economic benefit for Australian biomed companies. Expected to be open in mid-2020, the facility will also serve as a cornerstone for the proposed establishment of an Australian vaccine pipeline and will be an integral part of the Australian biosafety network as it will be capable of the rapid production of vaccines and anti-venoms in the case of emergencies. This means if there’s a virus pandemic like the flu, we will have our own supply of vaccines right here in Australia instead of waiting for overseas suppliers. It also means we can produce spider and snake bite anti-venoms, an economically small but obviously important market. Improving the lives of many cannot be done alone. As Australia’s national science agency everything we do is focused on creating measurable economic, environmental and social impact that betters our world and Australia’s place in it. And we do this in collaboration with partners in government, industry, research centres and universities. This new facility is an excellent example of collaborative work in action with strong support in terms of grants and contributions from the Victorian Government, MTPConnect, SIEF, the National Collaborative Research Infrastructure Strategy, Monash University and from private companies such as Telix Pharmaceutical and Sementis. We’re kinda a big deal when it comes to drug discovery and development. We discovered a 500 million year old gene, and you can name it! I think it quite bizarre that you would seek to duplicate what the Federal Government already subsidies and that which already exists. It is factually inaccurate to suggest that we have to “wait(ing) for overseas suppliers” in the case of pandemic influenza. We don’t. The Federal Government funds pandemic preparedness each year through the Federal budget and unless you are proposing to duplicate a billion dollar facility that already exists at Parkville, I doubt much will change. Secondly, try as hard as I might, I can not come up with an antivenom emergency. Perhaps invasion of Australia by Brazilian silkworm caterpillars? Why do we need a new production capacity for antivenoms? This is already available at CSL/Seqirus (Melbourne) for human-use antivenoms. Excellent focus on our national interests by the CSIRO. Keep up the great work.